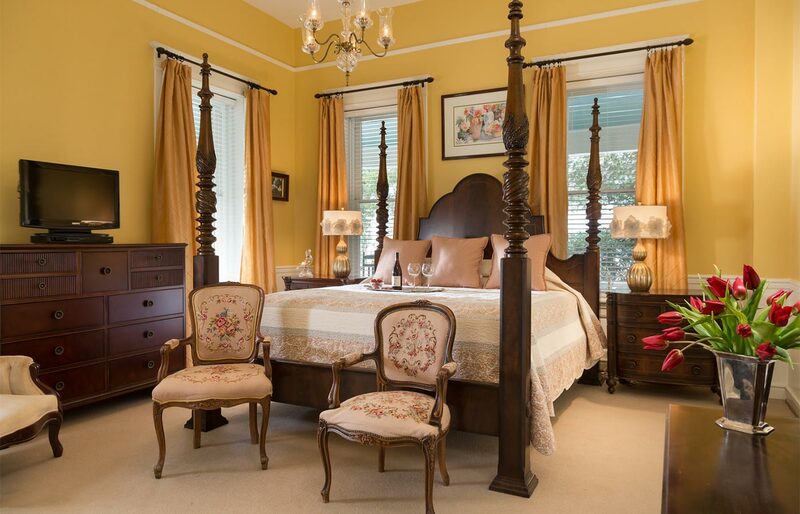 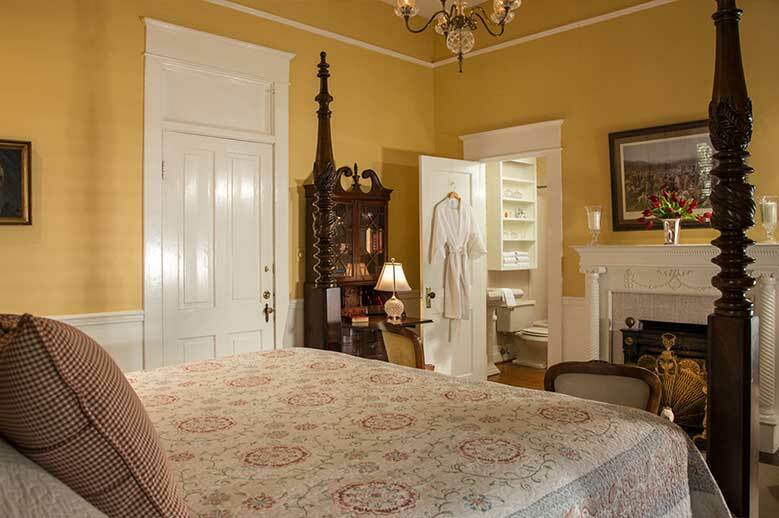 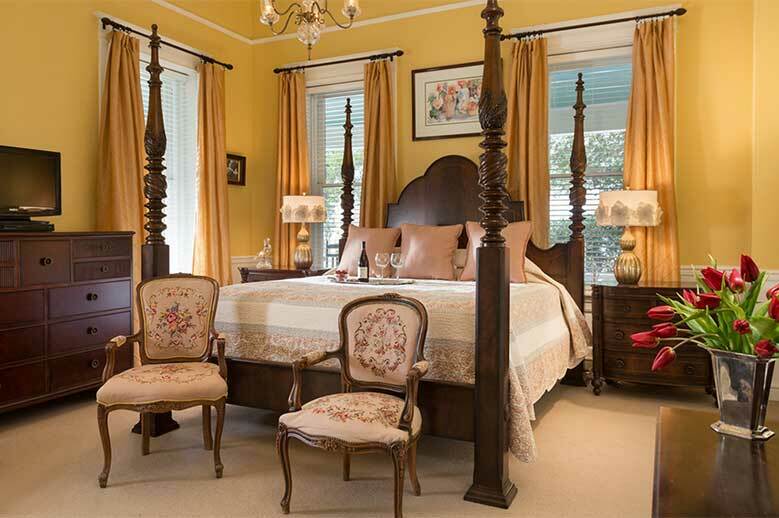 Exceptional Edenton, NC lodging awaits in our first floor suite featuring dramatic twelve foot ceilings that provides an elegant and comfortable night’s rest. 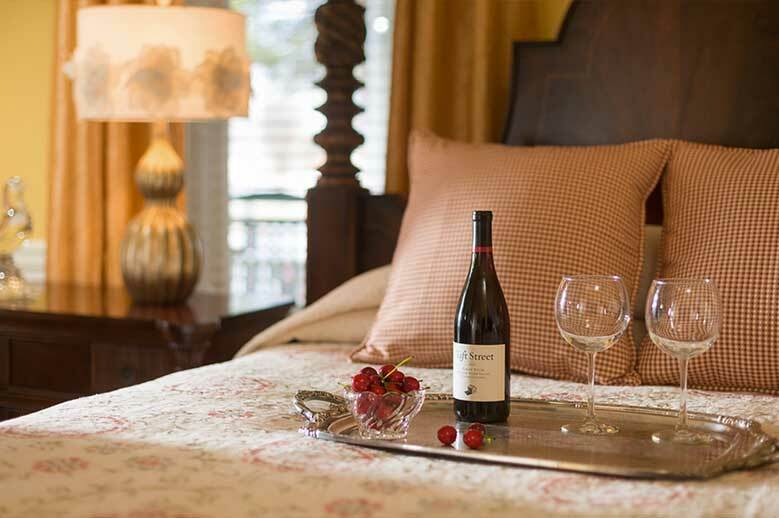 Guests love the luxurious hand carved four poster Mahogany king sized and pillow top mattress bed with hand pressed linen and quilts. 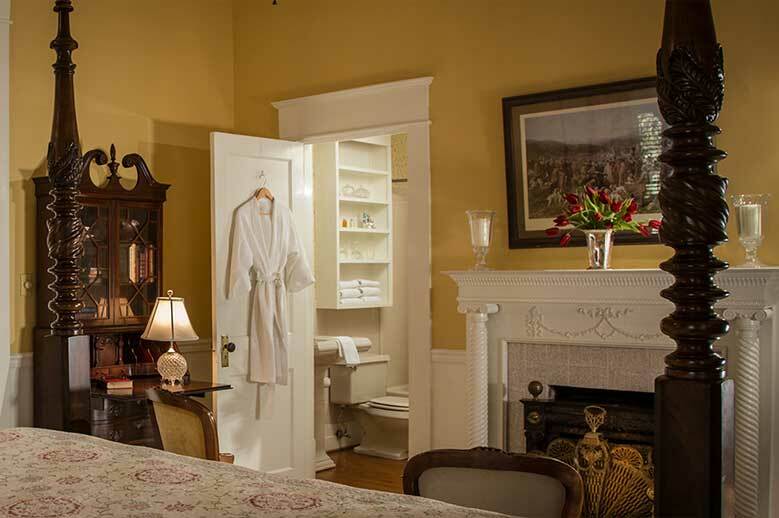 Mahogany serpentine breakfront desk, two needlepoint chairs in front of the fireplace, tub with shower, premium towels and robes. 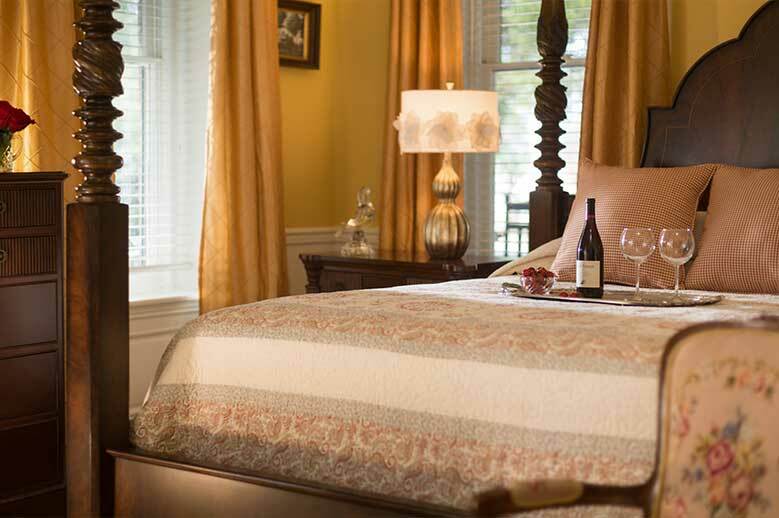 There is nothing better than a North Carolina romantic getaway.